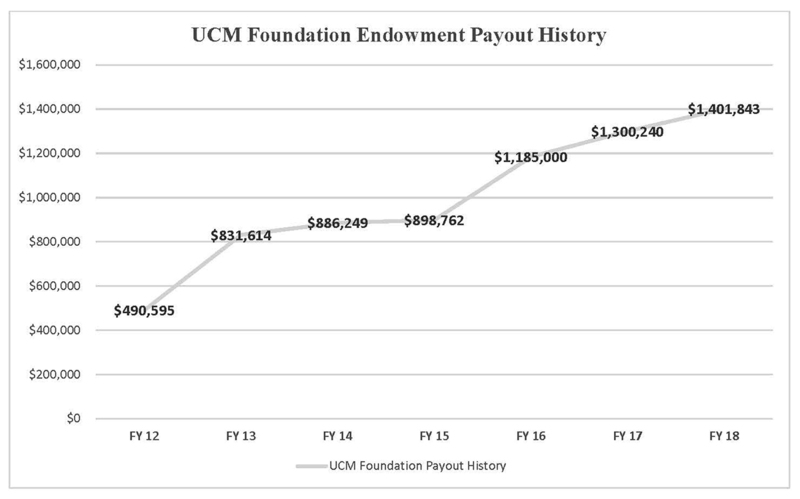 This graph shows the seven-year progression of the UCM Alumni Foundation’s endowment payout rate that has nearly tripled in support of UCM’s academic programs, scholarships, awards and professorships. 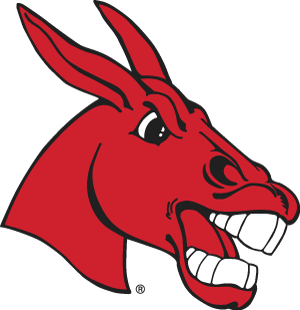 For the sixth consecutive year, the University of Central Missouri Alumni Foundation has increased the payout from its endowments in support of students and academic programs. The Board of Directors authorized a payout of $1.4 million for fiscal year 2018, which is a 7.81-percent increase from FY17 and nearly triple the payout since FY12. As student debt across the nation crossed the $1-trillion mark in 2013, according to the Consumer Financial Protection Bureau, UCM’s commitment to keeping tuition affordable has ensured the student body’s average debt to a minimum.